Donald Trump and Chinese President Xi Jinping have agreed to a 90-day ceasefire in their trade war at the G20 summit. But the deal to hold tariffs at current levels fails to address longer-term tensions and may simply prove a pause in escalating tariffs. 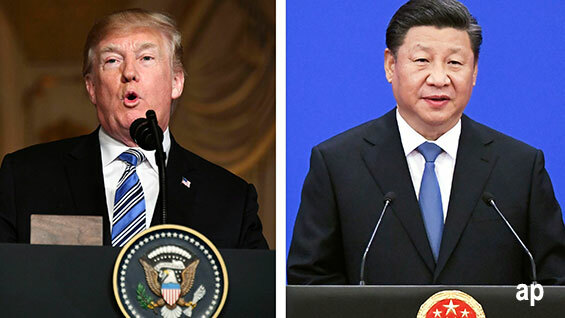 At Saturday’s dinner US President Trump and his Chinese counterpart Xi Jinping agreed to a 90-day truce in the trade war that has rattled the world’s two superpowers and sent shockwaves across global markets. The US has agreed to leave existing tariffs on $200 billion of Chinese goods at 10% and refrain from raising that rate to 25% on 1 January as previously threatened. China agreed to boost purchases of farm and industrial goods to reduce the trade imbalance. Forced technology transfer for US companies operating in China, and key tenets of the Chinese Governments' Made in China programme, are among points of difference between the two. Following Saturday’s much anticipated dinner between Trump and Xi, the White House touted the meeting as a "breakthrough" in the trade dispute. Beijing agreed to buy an unspecified but "very substantial" amount of agricultural, energy and industrial products, the White House said in a statement. Xi said he was "is open to approving the previously unapproved" deal for US company Qualcomm to acquire Netherlands-based NXP Semiconductors "should it again be presented". In July, Qualcomm, the world's biggest smartphone-chip maker, walked away from a $44 billion deal to buy NXP Semiconductors after failing to secure Chinese regulatory approval, becoming a high-profile victim of the Sino-US trade dispute. Speaking to reporters on Presidental aircraft Air Force One, Trump hailed his agreement with Xi an "incredible deal". He added: "What I'll be doing is holding back on tariffs. China will be opening up. China will be getting rid of tariffs." He said under the deal China would buy a "tremendous amount of agricultural and other product" from the US. "It'll have an incredibly positive impact on farming." Xi also agreed to designate the drug fentanyl as a controlled substance, the White House said. For more than a year, Trump has raised concerns about the synthetic opioid being sent from China to the US, which is experiencing an epidemic of opioid-related deaths. The meeting in Buenos Aires was a change in tack in the trade dispute that has clouded global markets all year. Prior to the meeting Trump had threatened to add tariffs on another $267 billion of Chinese imports. US companies and consumers have been bearing part of the cost of the US tariffs on China by paying higher prices, and many companies have hiked prices on imported goods. Reactions to the talks in Buenos Aires were mixed. Some market analysts see the talks as offering a first step towards more meaningful détente; others, however, are less sanguine. Morningstar Investment Management's Brad Bugg, head of multi-asset income, says financial markets will likely respond positively to news that the prospect of "imminent trade war between the US and China is fading, having been a primary concern for most of 2018". "However, while we watch these developments closely, our most recent focus has been on those companies, countries and regions that have been most negatively impacted by these headlines, and looked to add exposure given many assets look to have been oversold. "It is these types of opportunities which we think investors benefit from most over the longer term, as opposed to trying to predict what Present Xi or Trump will do next," he says. BNY Mellon's Singapore-based senior sovereign analyst, Aninda Mitra, hailed the meeting as an "interlude" that hopefully sets the scene for a "a stronger effort to set a framework for more talks and quid-pro quos". "The three-month extension must therefore be seen in the context of the 'promise fatigue' of the US authorities and Chinese wariness about eventual conflict – if not outright hostility – becoming inevitable. "The best one can hope for in three months’ time is a trade and geopolitical deal in which we see a road-map for China to materially raise oil and agriculture imports from the US to cut the bilateral surplus by more than 50 per cent in about one to two years’ time. Mitra’s concerns are twofold: on one hand, the US becoming “aggrieved’ amid the promise fatigue, and on the other, fears that China will feel it has been shortchanged. "China may feel the US pockets the tactical concessions and does not make much effort to understand their different development model, which limits the degree to which they can totally alter their growth model simply to satisfy the US," Mitra says. Management of fellow global fund manager, J.P. Morgan, suggested that the outcome in Buenos Aires will be a positive for risk sentiment. "Investors were roughly anticipating a three-to six-month ceasefire, and the two sides wound up agreeing on 90 days, so the low-end of expectations," the fund management firm said in a statement. "The rest of G20 was largely uneventful for markets." Rabobank analysts struck a more pessimistic note. They doubt that "anything substantive" will be achieved from the meeting in the longer term. While "neither side is ready for the war, neither side will budge,” said Rabobank's Michael Avery. Stock markets across Asia and Australiasia traded higher on Monday following the news.